Updated: Ever since it went public earlier this year, LinkedIn (s lnkd) has been trying to expand — or possibly to justify — the $9-billion market value it was awarded after its initial public offering of shares. Among other things, it has continued to try to mimic aspects of Twitter and Facebook, as it tries to entrench itself as a social network for the corporate market. But it seems to have gone too far in the wrong direction when it comes to copying Facebook: a recent change that opted LinkedIn’s 100-million-plus users into a social-advertising campaign feels a lot like some of Facebook’s past privacy-related blunders, and a questionable move for a company that’s trying hard to become a destination for business users. In order to deliver relevant and valuable ads to you and your network, LinkedIn may use your name and profile photo in connection with social advertising based on content shared on LinkedIn. This advertising may include the fact that you have recommended or endorsed a product or service on LinkedIn, followed a company, joined Groups or conversations, established or added content to your profile. To the company’s credit, as security blogger Paul Ducklin notes on the Sophos blog, it at least flagged the changes to the policy, and provided a link to the setting that allows users to opt out of the social-advertising campaign (which is here if you want to opt out). 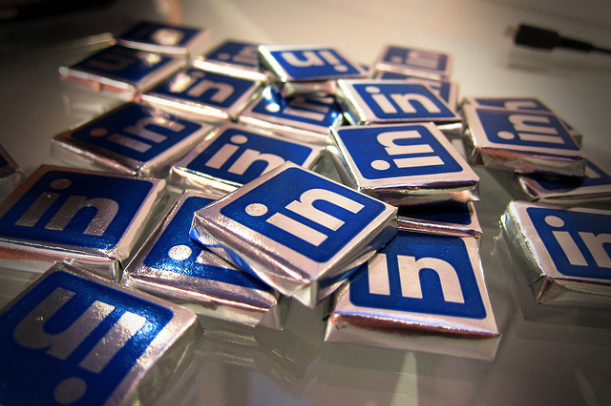 And LinkedIn did describe the changes on its blog at the time — including an offhand reference to the fact that users would all be opted-in to the new service by default — although it described the feature in glowing terms as a way of providing more relevant advertising for businesses and individuals using the network. Who thought opt in by default was a good idea? Now LinkedIn has deliberately chosen to put itself in exactly the same position as the larger social network it keeps trying to copy. Many of the responses to the company’s privacy changes use phrases like “Facebook-style stunt” or “pulling a Facebook,” and the overwhelming sense is that — like its competitor — LinkedIn tried to pull one over on its users somehow. Is that really what the company needs right now, especially when it’s trying to justify that huge market valuation? The move may even have broken the law in Europe. No doubt the company decided that making the new social-advertising campaign opt-out by default, and then trying to convince users to sign up for it later, would be too difficult and/or wouldn’t produce enough of a response. Those are likely the same reasons Facebook made the same decision — but it has suffered for it, and LinkedIn deserves to as well. Not giving users the ability to make that choice before they are signed up shows a disrespect for them that’s hard to ignore. Is this any way to improve engagement? While the introduction of social advertising may help the company generate more ad revenue, something analysts have been looking for as they try to decide whether it’s a growth stock or not, one of the other issues LinkedIn has been dealing with is how to improve the engagement levels on the site: in other words, how often users return and how long they spend when they do so. Among other things, it has added a social-news aggregation service called LinkedIn Today as a way of doing that (and some critics say it has also made it unnecessarily difficult to close out your LinkedIn account). All of which raises the question: Is opting users into a new social-advertising campaign by default — especially one that raises so many obvious privacy issues — really a wise move? If it seems unwise even for a mass-market social network like Facebook to be doing those kinds of things, it seems even more unwise for a service that’s allegedly catering to a sophisticated business customer to do so. Update: In a blog post responding to the criticisms of its social-advertising campaign, LinkedIn’s director of product management admits that the company “could have communicated our intentions —- to provide more value and relevancy to our members —- more clearly,” and says that the campaign has been changed. The ads that appear on the site will now no longer include the names or photos of users, the company said. Frankly, LinkedIn has not proven to be enough use to me over the past year to even pay attention to. Perhaps I haven’t investigated its possibilities but as far as I have observed, outside of being a rather limited online resume’, there isn’t much yo offer. If privacy issues top the news for this online medium, I am much more likely to simply delete my profile altogether. So I see this ad on Craigslist to test a new social media site… Curiosity gets the best of me… and I go in to test it. Wow! Was I in for a shock. If only Facebook new what is coming! While Google+ was rethinking social media and came out with a copy of Fb, another team of people was unthinking it. For real. Unthink social media is literally the name. They have been in secret development for over 3 years!!! Kidding you not. This will blow the market open. How did they keep this SECRET? From what I saw it’s about to launch. Facebook and Google are in for a huge surprise. Kudos to Mathew Ingram, Gigaom and all the bloggers and the privacy advocates who have raised these questions which has resulted in Linkedin giving us the option to opt out of social advertising. It’s difficult to fathom that a ‘professional’ networking site as LI would just leverage its user’s personal information and photos in exchange for advertising dollars. Unlike! I know people whose only foray into social networking was having a profile on LinkedIn because it was perceived to be a business networking site that allowed professionals to build a personal brand online. People don’t want their mugs on advertisements for all their connections to see. I hope LinkedIn realizes that its value lies in sticking to what it does best – connecting professionals – and not in trying to morph into a wannabe-Facebook site. Great catch. But a little more outrage is in order. Your update accepts without comment LinkedIn’s statement that they â€œcould have communicated (their) intentions â€”- to provide more value and relevancy to our members â€”- more clearly.” You point out that they clearly were not interested in being clear on this. But where’s the outrage? The only acceptable response from LinkedIn would be to reverse the action and remove our opt in. But I just went to my settings and had to uncheck the box. So LinkedIn went into my private settings and changed them. Surely that contravenes some fine print on their agreement? move that if not illegal, is enormously unethical. We cannot let these companies continue to lower the bar on acceptable company behavior. These companies never learn from others’ mistakes. Any opt-in feature/tool is a surefire way to gather ire and controversy. Facebook hasn’t suffer a thing for it’s privacy issues and neither will LinkedIn. Although privacy concerns are certainly relevant, the greater public is completely naive to it and in the end don’t care. Wish that wasn’t the case but it’s the truth. I’m watching this with interest. LinkedIn has a shipload of unrealised value in it, but to my mind they have not really found the right formula yet for user engagement. All the LinkedIn groups I’ve joined just don’t have much going on in them. And the news stuff is just plain silly. I curate my own news as does every other person with a profile like mine. So I use groups like a badge. Looks like there was a lot of pressure to get this changed. I have just logged on to LinkedIn and got a popup which asked me to confirm whether or not I approve of my profile to be used in social advertising. I asked LinkedIn staff about this, long before it was blog-worthy. I was ignored each time. That’s interesting — it feels like they hoped it would slide by under the radar. In the new era that’s being called Web 2.0, the one thing that will decide the winners from losers will be the social networking site that offers its users anonymity & privacy, yet an effective platform that allows personal, professional, and business social networking. There is only one site today that meets this criteria, ONLYMEWORLD.COM, no real names, no email addresses. It would be interesting to see that, I agree Neil. I noticed that they removed the photos and names, but the feature is still opt in by default.